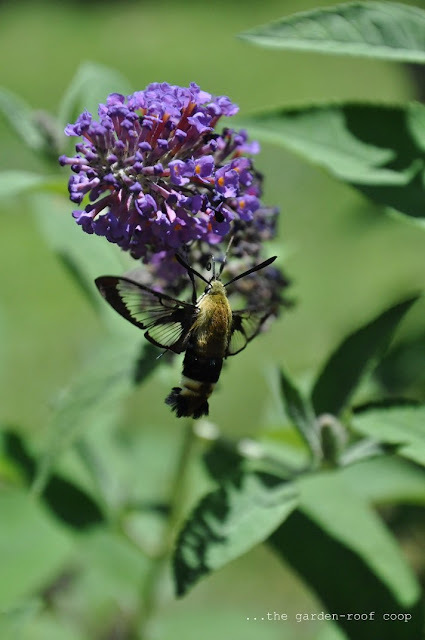 The Snowberry Clearing (Hemaris diffinis) is a common moth throughout Missouri found in forests, brushy fields and frequently turns up in city yards and gardens. It's similar to the Hummingbird Clearwing, but has an identifying black band that crosses the eye and travels down the lateral side of the thorax. Host plants of the larva include buckbrush or coralberry; which is a native shrub found throughout my property. Fabulous shots of this fabulous moth. 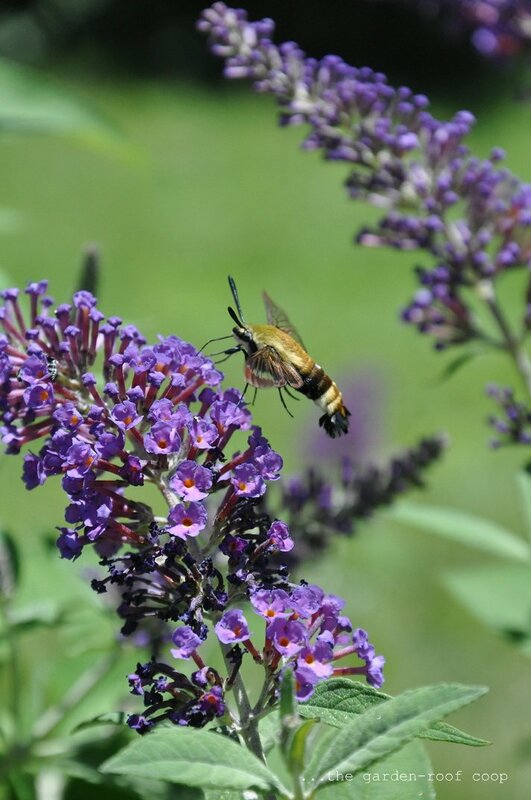 I see the hummingbird clearwing in my garden and I enjoy watching them! Lovely captures! I like the transparent wings. 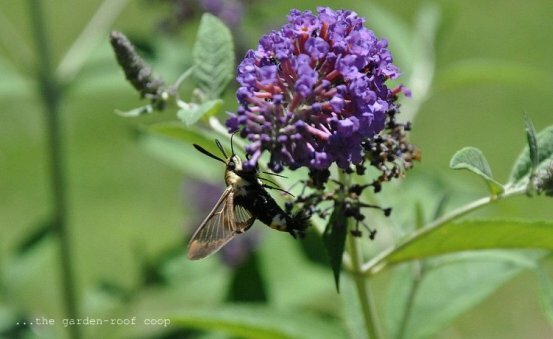 Wow, fantastic photographs of the Snowberry Clearwing! They really are interesting insects. 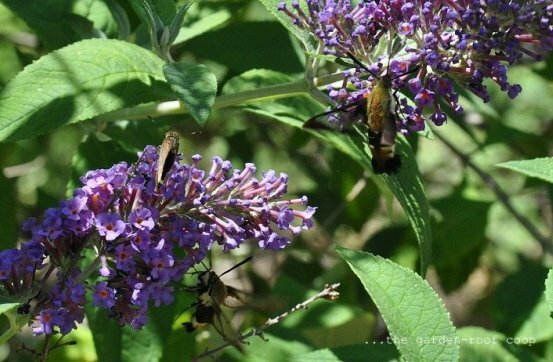 I catch glimpses of Hummingbird Clearwings on our property and find them so fascinating. How fortunate you were to see 20 of these beauties on one bush. Awesome!